Requires the full version of Native Instruments Kontakt v5.3.1 or above. 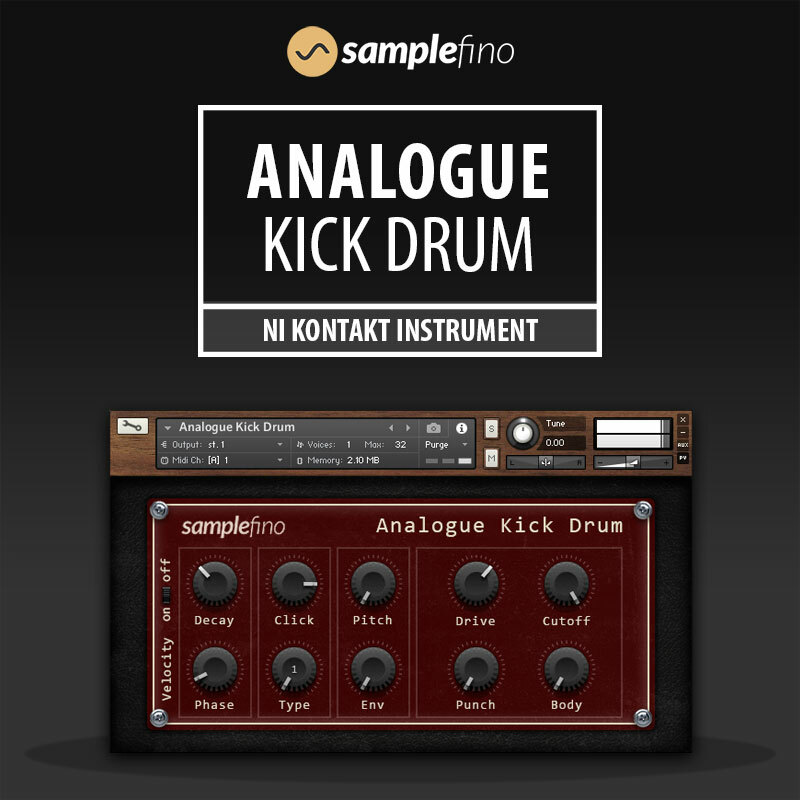 Analogue Kick Drum is a sample based virtual bass drum module for Native Instruments Kontakt 5. The instrument features a custom scripted two-panel user interface providing direct access to all parameters of the sound engine. 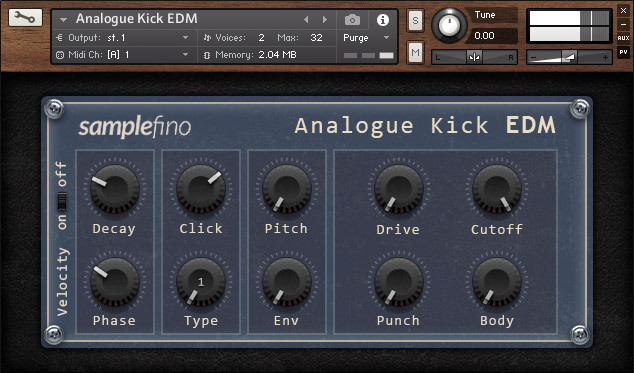 Two different versions of the instrument are included with the product (Analogue Kick Drum and Analogue Kick EDM), for generating classic drum machine style bass drums and modern EDM style kicks. 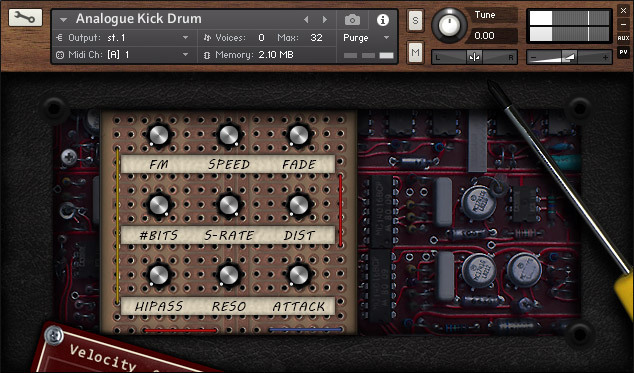 The generated kick drums are playable across two full octaves for easy matching to any key. The instrument supports up to 6 seconds of decay time for long 808 style sub bass sounds. 62 different click samples are included with the product, along with 80 custom kick presets (+10 bonus presets) and 80 rendered kick drum samples in WAV format. Full version of Native Instruments Kontakt (version 5.3.1 or above) is required. 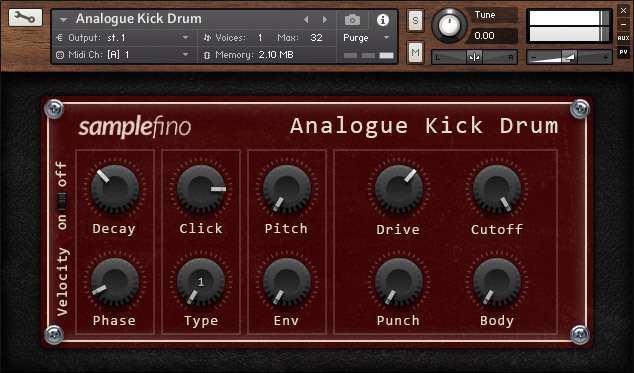 Analogue Kick Drum will work in DEMO mode in Kontakt 5 Player. There is no time limit when using the full version of Kontakt. Direct access to Velocity, Gain, Drive, Distortion, Pitch Envelope, Attack, Decay, Phase, FM, LP Filter, HP Filter, Bitcrusher, Sample Reducer and Transient Shaper controls.